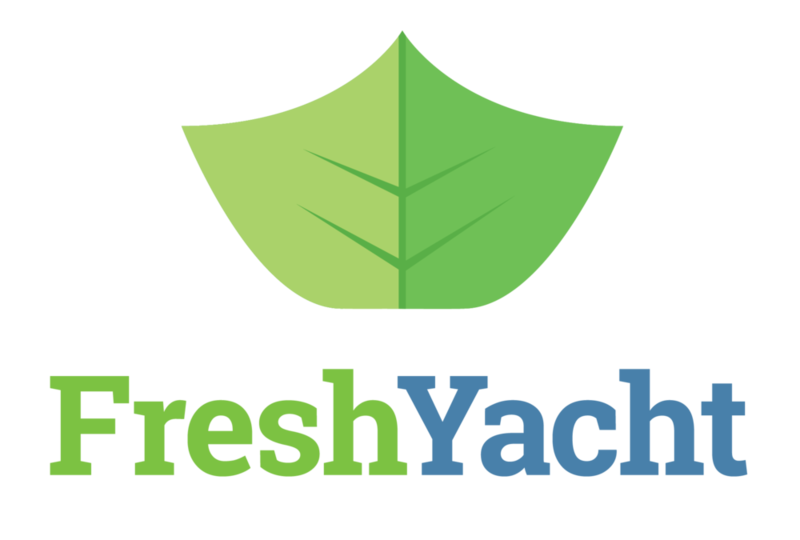 Aldrey, thanks for talking with FreshYacht today! 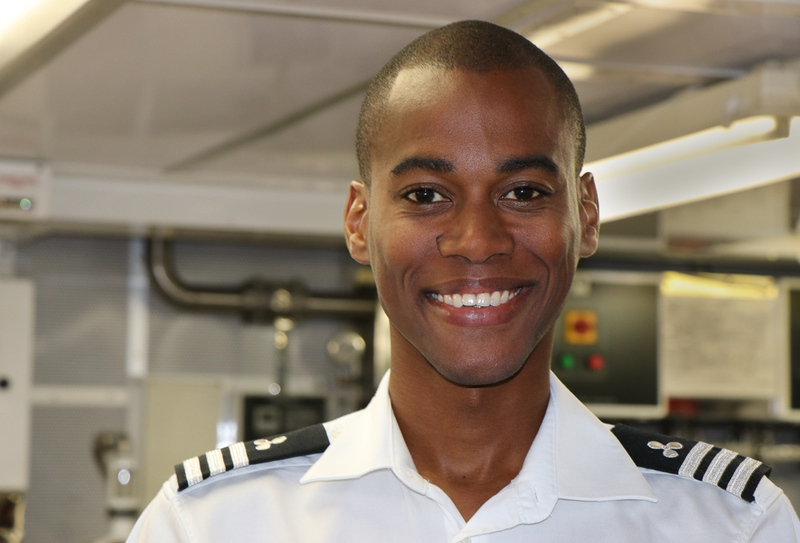 Can you start by telling us a bit about what you do onboard? As the engineer, I’m in charge of maintaining all of the main and auxiliary systems on board. This means I have to keep everything running and make sure it’s in well-maintained condition. From the engine room to the AV system, from appliances to refrigeration - everything that runs on the boat is the engineer’s responsibility. The engineer really knows the whole boat, inside and out. 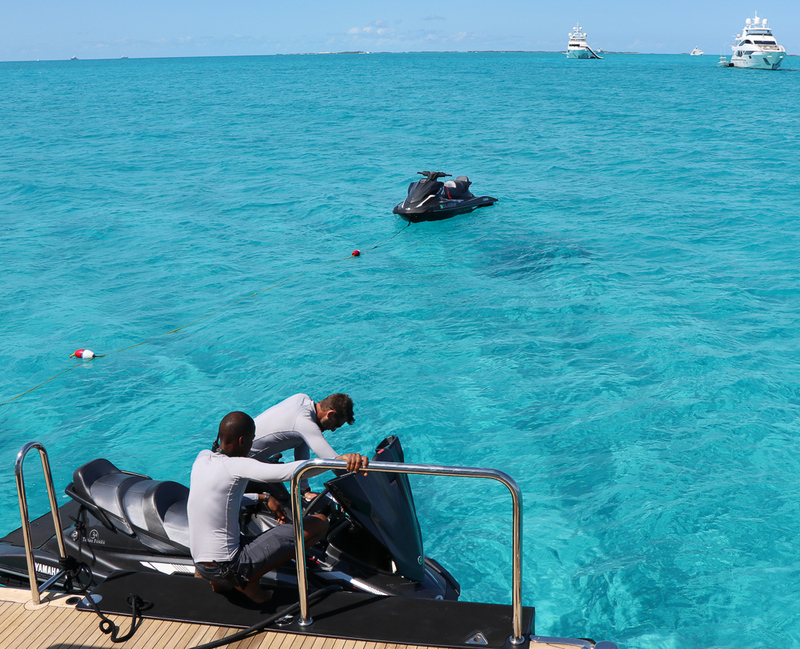 Keeping the machinery in good shape eliminates the risk of breakdown and maintenance costs -- and even more importantly, it helps you avoid having something break when you’re in the middle of the ocean. Depending on my job and the boat size and crew, I also take on some additional duties. I work on deck, helping with lines and anchoring, and sometimes I'll drive a tender. Like any member of the crew, I help out with what needs to be done. How did you first decide to study engineering, and what did you to do prepare for working on a superyacht? Ever since I was a kid growing up, I was always drawn to tinkering with machines and engines - I started playing around with my bicycle, then later on my car. When I was in high school, I’d take my school holidays to go to the local auto mechanic shop and learn what I could. I feel like it was always an interest there, and I seemed to have a natural talent. Later, I attended the Caribbean Maritime Institute -- now the Caribbean Maritime University -- in Jamaica. 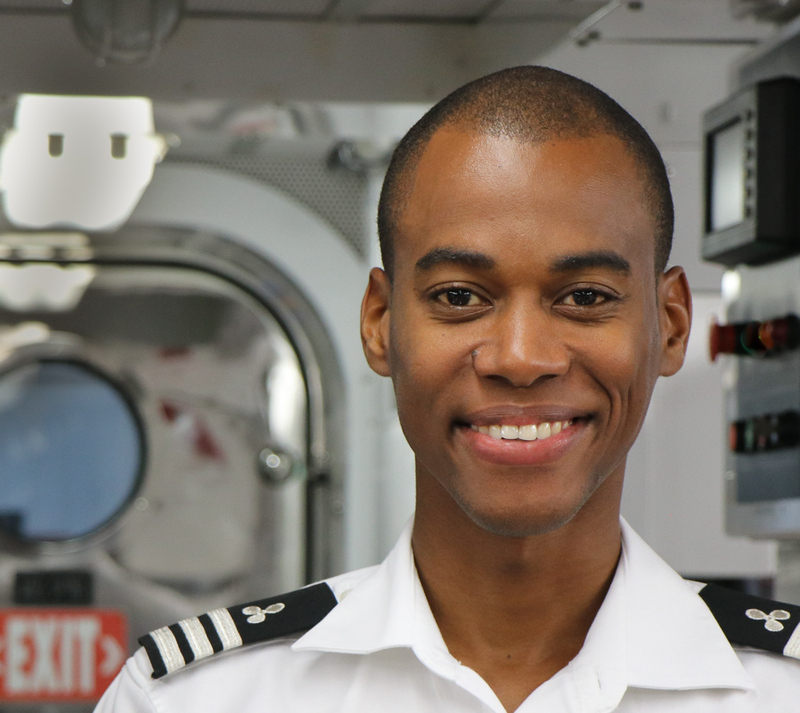 I was interested in becoming a diagnostic technician, and my training prepared me in commercial engineering to work on big ships. I did one contract on a big ship and moved over to yachting in 2013. For me, I yachting was a great step forward as it was less work and better pay compared to a commercial ship or vessel. I also preferred the work schedules and the smaller crews. Once I started working with my current captain, he and I developed a good professional relationship, so I’ve stayed with him as he’s moved between a few boats. Tell us a bit about how working as an engineer is different from working as a deckhand or a stewardess. 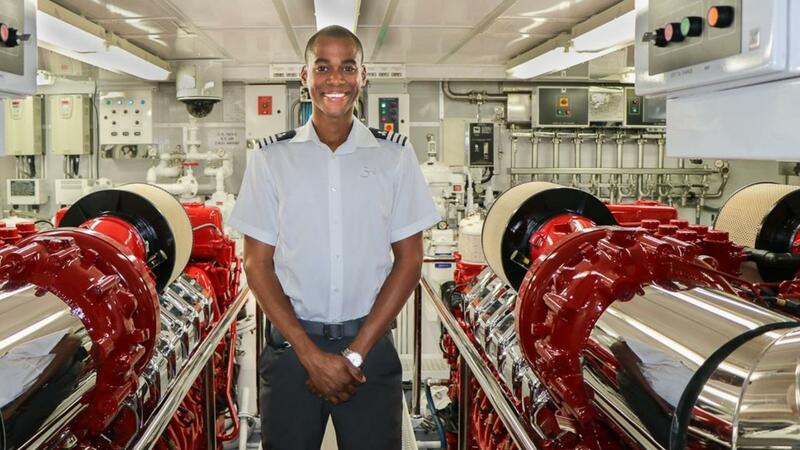 Engineering onboard is a job that’s easy to overlook because you’re not out in front of the guests on the deck or serving meals -- but it’s a crucial job. Many people think engineering is more difficult work -- but in my experience, engineering is based on common principles and stays the same day to day. As long as you have a process and you focus on maintaining, you can avoid serious problems. It’s important to be dedicated to the work -- if a job needs to get done, I get it done, and I’m not watching the clock. My schedule isn’t determined as much by guest needs as the other crew positions. For anyone onboard, though, whether an engineer or a deckhand or a stew, it’s important to have an open mind. I came to my job with an engineering background, but I was a novice to managing lines, driving a tender, other deck duties - I learned all of that onboard. And working on smaller boats, it’s important to be well rounded so you can do any work that may need to be done. What advice would you give to someone interested in this career? I would share two pieces of advice. The first is specific to engineering, and the second applies really to anyone interesting in yachting. For an engineer, you need to learn the skills and you need to have hands-on experience and mechanical inclination. You can study principles at school and get a degree, or learn from a book, but it’s not a substitute for practical experience. If you can’t hold pliers, or know what tools to use for a problem, you’ll be the guy stuck calling in a contractor to do the work. As I was coming up through my studies and my career, I worked with a range of skilled people -- welders, electricians, mechanics, builders -- and I learned from each one of them to become the person I am. Having hands-on experience that you can use to solve problems will propel you forward and put you above your competitors. A boat for a single engineer is a lot of work, so when I need help with a project, or a daywalker to chip in, the people that I look for were previously mechanics, or have this type of real-life experience. I don’t have to explain every single thing and I know they will get the end result that I want. For anyone interested in yachting as a career, I’d tell them it’s important to build your reputation over time, put in the work, and not expect immediate results. Many people get bored of a boat or a program and jump from boat to boat, but I look at it as a career and from a bigger perspective. 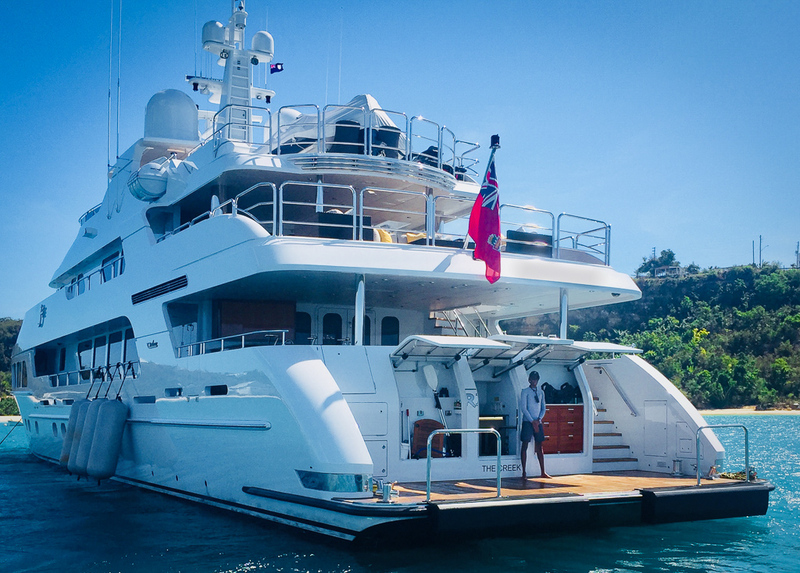 Longevity in yachting is key -- you put your best foot forward and get the jobs you want with good longevity and references. What has been your favorite destination so far? Where do you most want to go? I’d say my favorite is the Exumas -- very beautiful, one of the best places to go. I’ve mostly traveled around the Caribbean so far, but I’ve never been to the Mediterranean. I’d really love to go to the Med for a season to explore that area. Can you share a story of a time you had something unexpected happen and how you fixed the problem? Once, I was in transit from Antigua and I was sleeping -- the watchperson called and woke me to tell me about a leak in the engine room. After looking at it, I realized a leak was coming from a part of the AC unit - but that the leaking pipe was located all the way behind the exhaust vent, which was very hot -- maybe 300-400 degrees. I couldn’t just reach back there to turn it off. Initially, I thought I could just shield the exhaust with a dropcloth and turn off the AC to repair it, but when I put the cloth down, it started to smoke and I realized that wouldn’t work. I had a deckhand there to help me out, so I realized the only way to stop the leak would be to put a clamp on the pipe. 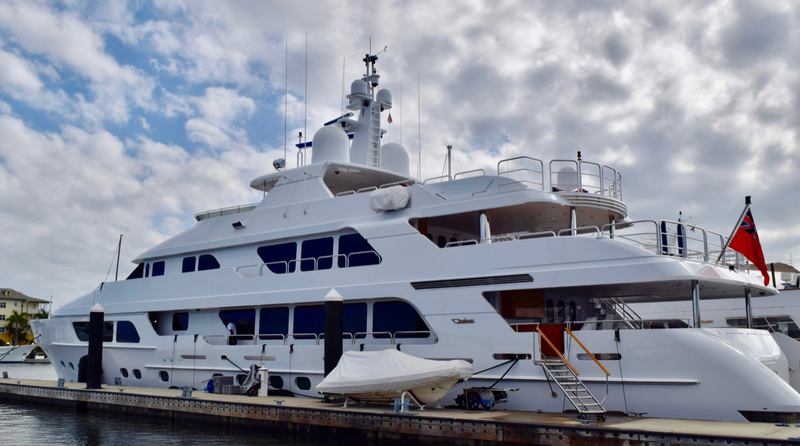 I’m a slim guy, so I was able to squeeze myself partly around the back, and then I had the deckhand wrap my arm with a cloth to protect from the exhaust. I wiggled my way back there and managed to get the clamp on the pipe -- after it was stopped, I slowly squeezed around back and then pumped out the water that had flooded into the chamber. The job of an engineer can be simple -- but that doesn’t mean it’s easy. It’s important that an engineer be able to stay calm, think about a problem, then reach. Someone who gets nervous or panics can make things much worse. By staying calm and thinking it through, your reaction can prevent a disaster. Early on in my career, I used to get nervous, but now I have enough experience and I’ve learned that getting nervous only makes things worse. I just look at the problem, asses it, then react and try to fix or stem the problem. Any final words of wisdom to share with our community? In general, if you’re working on a boat, your attitude is key. I find what gets people into trouble is using their mouth and ears in the wrong proportion. They talk more than they listen. If a person is taking their yachting career seriously, it’s important to listen more. Even people who are very good at their job can talk themselves out of work if they’re not thoughtful. Beyond having a good attitude and listening well, it’s important to be focused and take the job - and yourself - seriously. Especially if you are just getting started, don’t watch the clock -- just do the work that needs to be done. Over a few years, you start to add value to yourself -- both in what you know, and how you’re perceived. From that point, you can start to write your own contract and your employer will need to start meeting your terms because you add so much value to the boat with your experience and reputation. Don’t be distracted by what others are doing, what others are making, especially those who are a few years ahead of you. You just need to be consistent, add that value, and show longevity. Success will come, but just not overnight. Ready to transform your own life like Aldrey? Coming soon -- our FREE, Live Master Class - 4 Steps to Your First Superyacht Job in 60 Days -- will tell you what you need to know! You’ll want to make sure you’ve got a spot reserved, as it’s going to fill up fast. Watch for the emails soon!